We provide onsite hard drive destruction at no cost for most businesses with medium to large waste streams, destroying approximately 350 drives per hour. Your data is destroyed before leaving your facility, witnessed by your representative - the highest level of data security. This service is provided while we collect your electronic waste. A report is then generated of the serial numbers of the devices destroyed, completing your compliance requirements. 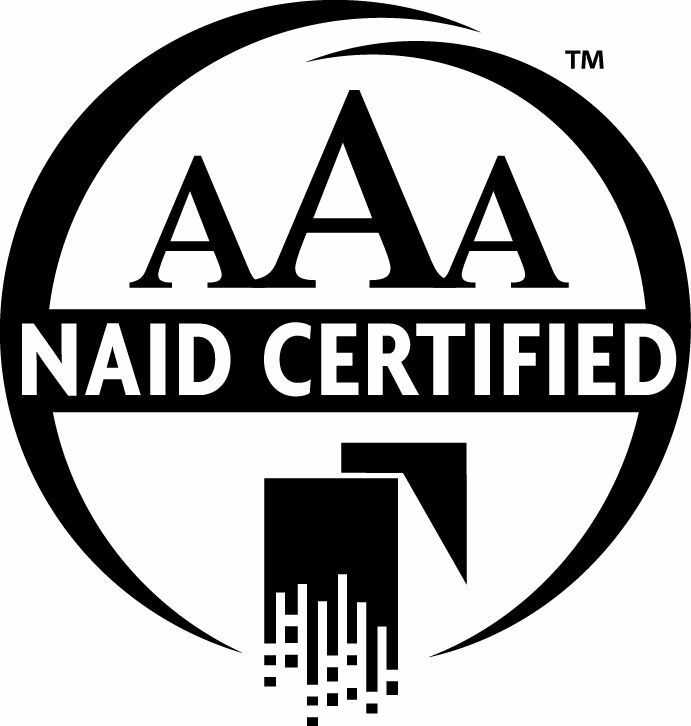 Our Onsite Hard Drive Destruction Services are NAID Certified. All Employees that handle your data onsite are drug tested, have 7 year criminal background checks, and undergo yearly training programs to ensure superior data security. Onsite Hard Drive Destruction services are available all over the State of Nebraska and Iowa including Omaha, Lincoln, Council Bluffs, Sioux City, Des Moines, Norfolk, North Platte, and more. There are two important aspects to electronics recycling. First is data security. Protection of your private data is paramount. For larger businesses, onsite hard drive destruction may be required to be compliant with privacy laws. Second is proper disposal of hardware. Some electronics contain potentially harmful components that need to be recycled properly to reduce or eliminate the impact to the environment. We offer free onsite consultation to advise you to the best methods of ensuring compliance and addressing any concerns you may have.